With Hegel philosophy became very difficult indeed - even the great man himself conceded that 'only one man understands me, and even he does not.' His dialectical method produced the most grandiose metaphysical system known to humanity, and included absolutely everything, its most vital element being the dialectic of the thesis, antithesis and synthesis. This method arose from Hegel's ambition to overcome the deficiencies of logic and ascend towards Mind as the ultimate reality. His view of history as a process of humanity's self-realisation ultimately inspired Marx to synthesise his philosophy of dialectical materialism. 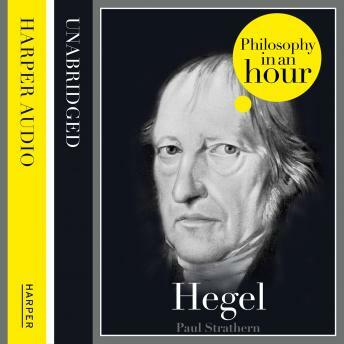 This audiobook is an expert account of Hegel's life and philosophical ideas - entertainingly written and is easy to listen to. Also included are selections from Hegel's work, suggested further reading, and chronologies that place Hegel in the context of the broader scheme of philosophy.